When nightclub lighting combines just right with the music, it creates an experience that is transcendent. That experience of synaesthesia keeps customers coming back time and time again. For that reason, it’s time to look at how you use your nightclub lighting and to share some ideas on how you can really take it to the next level. Good nightclub lighting design is all about making sure that you have the right setup for the different situations in the bar. Backlighting the bar and using accent lighting helps keep things visible while maintaining the right mood. For stairways and platform dancefloors, recessed lights lining the steps edge is crucial for ensuring your customers don’t trip and hurt themselves on them. For the dancefloor itself, an LED system of track lighting allows you to control various effects and ensure that it always matches the music. 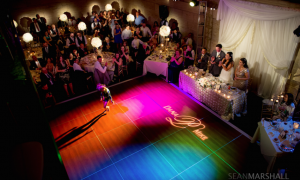 There are a variety of light fixtures that can allow you to create the perfect mood on the dance floor to match with the music. Nightclub lights, especially LED lighting systems, come with plenty of settings that allow you to vary the lights to match the music, which is the most important thing. 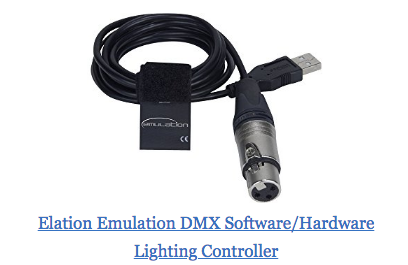 Besides the lighting systems themselves, which should have various different options to further customise the lighting from moment to moment, you should ensure that you have a versatile controller and the right lighting software with an experienced operator behind it who knows how to use the settings to the greatest possible effect. There’s a range of different fixtures popularly used in nightclubs. These include recessed lights in floors, walls, trim and other architectural features or indirect lighting like lightboxes and backlit signs. Lights can also be mounted on wall sconces and pendant lighting. Most nightclubs use flexible track lighting and accent lighting such as step lighting and underbars lighting which is designed not so much for visibility but to complement other lights and lend to the mood. Choosing the right lighting system for the dancefloor and the appropriate fixtures for the different parts of the nightclub is just one step of creating the experience your customers want. Mastering the different effects available is crucial. There are a variety of effects that you should ensure your nightclub lighting system is capable of, including: strobe, flash, laser lights and moving lights. Many systems come with a sound-active mode that automates the lights. While this works most of the time, there are times when the lights may be moving or changing inappropriate, such as during a slow transition in a track. Having someone to use the controller to manually operate the lights can make a huge difference and there are plenty of online courses that can help you learn yourself. The right nightclub lighting ideas can completely transform how your establishment feels and the experiences that your customers have in it. It brings music to light and helps them get lost in it, ensuring a night that they won’t forget. Moderneon Light can help you achieve the look, feel, and mood you want with a whole range of lighting products.